The aim of our study was to use the Flipped Classroom (FC) model in a train–the-trainers course for simulation, and learn the perceptions of the participating educators. We worked with a group of 15 educators registered as trainees in the Train-the-Simulation Educator Course delivered by the Department of Medical Education and Informatics at Hacettepe University Faculty of Medicine. At the preparation stage of the course, the educational goals and the content were defined by four academicians working in the field of medical education, and then the course materials were prepared, and transferred to an electronic format. The course materials were shared on a pre-set website three days before the course, and the participants were informed via e-mail. At the beginning of the face-to-face stage of the course, the goals of the course were shared, and a discussion was held for the unclear parts about the course. Feedback Form was designed by the researchers and used as the data collecting tool in this study. While examining research results, the majority of participants accessed the course materials via their smart phones, were able to access the materials without any trouble, agreed that training enriched with the FC model contributed significantly to their learning. The participants also emphasized some negative aspects: the video file sizes, videos were not interactive, receiving the videos at a date longer than three-day period. Baker, J. (2000). The "classroom flip": Using web course management tools to become the guide by the side. In Proceedings of the 11th International Conference on College Teaching and Learning, Jacksonville, FL. Belfi, L. M., Bartolotta, R. J., Giambrone, A. E., Davi, C., & Min, R. J. (2015). “Flipping” the introductory clerkship in radiology: impact on medical student performance and perceptions. Academic Radiology, 22(6), 794-801. Boysen-Osborn, M., Anderson, C. L., Navarro, R., Yanuck, J., Strom, S., McCoy, C. E., ... & Langdorf, M. I. (2016). Flipping the advanced cardiac life support classroom with team-based learning: comparison of cognitive testing performance for medical students at the University of California, Irvine, United States. 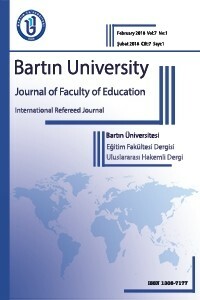 Journal of Educational Evaluation for Health Professions, 1, 1-13. Bristol, T. J. (2014). Educate, excite, engage. Teaching and Learning in Nursing, 9, 43-46. Chen, F., Lui, A. M., & Martinelli, S. M. (2017). A systematic review of the effectiveness of flipped classrooms in medical education. Medical Education, 51(6), 585-597. DeGrazia, J.L., Falconer, J.L., Nicodemus, G., & Medlin, W. (2012). Incorporating screencasts into chemical engineering courses. In Proceedings of the ASEE Annual Conference & Exposition. Evans, K. H., Thompson, A. C., O’Brien, C., Bryant, M., Basaviah, P., Prober, C., & Popat, R. A. (2016). An innovative blended preclinical curriculum in clinical epidemiology and biostatistics: impact on student satisfaction and performance. Academic Medicine, 91(5), 696-700. Gillispie, V. (2016). Using the flipped classroom to bridge the gap to generation Y. The Ochsner Journal, 16(1), 32-36. Heitz, C., Prusakowski, M., Willis, G., & Franck, C. (2015). Does the concept of the “flipped classroom” extend to the emergency medicine clinical clerkship?. Western Journal of Emergency Medicine, 16(6), 851-855. Karasar, N. (2004). Bilimsel Araştırma Yöntemleri [Scientific Research Methods]. Ankara: Nobel Yayıncılık. Koo, C.L., Demps, E.L., Farris, C., Bowman, J.D., Panahi, L., & Boyle, P. (2016). Impact of flipped classroom design on student performance and perceptions in a pharmacotherapy course. The American Journal of Pharmaceutical Education, 80(2), 33-39. Lage, M. J., Platt, G. J., & Treglia, M. (2000). Inverting the classroom: a gateway to creating an inclusive learning environment. The Journal of Economic Education. 31(1), 30-43. Lew, E. K. (2016). Creating a contemporary clerkship curriculum: the flipped classroom model in emergency medicine. International Journal of Emergency Medicine, 9(1), 25-32. Makhoul, I., Motwani, P., Schafer, L., Arnaoutakis, K., Mahmoud, F., Safar, M., ... & Thrush, C. (2018). Integrating Collaborative Learning and Competition in a Hematology/Oncology Training Program. Journal of Cancer Education, 33(1), 186-192. Mehta, N. B., Hull, A. L., Young, J. B., & Stoller, J. K. (2013). Just imagine: new paradigms for medical education. Academic Medicine, 88(10), 1418-1423. O'Connor, E. E., Fried, J., McNulty, N., Shah, P., Hogg, J. P., Lewis, P., ... & Reddy, S. (2016). Flipping radiology education right side up. Academic radiology, 23(7), 810-822. Sockalingam, S., James, S. L., Sinyi, R., Carroll, A., Laidlaw, J., Yanofsky, R., & Sheehan, K. (2016). A flipped classroom approach to improving the quality of delirium care using an interprofessional train-the-trainer program. Journal of Continuing Education in the Health Professions, 36(1), 17-23. Tune, J. D., Sturek, M., & Basile, D. P. (2013). Flipped classroom model improves graduate student performance in cardiovascular, respiratory, and renal physiology. Advances in Physiology Education, 37(4), 316-320. Veeramani, R., Madhugiri, V.S., & Chand, P. (2015). Perception of MBBS students to "flipped classroom" approach in neuroanatomy module. Anatomy & Cell Biology, 48,138-143.